Thanks to Aunt Linda and Uncle Roger for Emma’s new beanbag! She had wanted one since she saw one at our friends Aaron and Tiffany’s house a few weekends ago. This has quickly become her favorite hangout. 😉 It is HUGE and she absolutely LOVES it! It’s big enough to share with a friend!!! 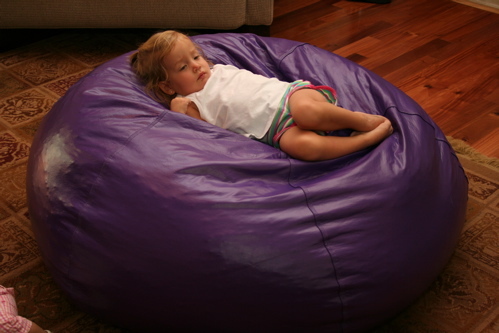 Author denissewarshakPosted on June 30, 2008 Categories the mom1 Comment on The biggest beanbag EVER!!! Author denissewarshakPosted on June 18, 2008 Format ImageCategories photos, the mom3 Comments on Los Warshaks, June 08.
training day… potty, that is. I am pleased to report that Emma had her first day of potty training today and she did GREAT! I had been putting it off for so long. I mean, diapers really are easier to deal with than taking her to the bathroom. And the accidents… I have been dreading those for months. But, now that we have started, I am soo sooo glad we did. We started trying today after lunchtime. We went to HEB and got some special treats. She picked out some mini ice cream sandwiches and some real fruit popsicles. When we were done eating she asked for one, but I explained that those were treats for going pee pee in the potty. She asked to try, so we went to the bathroom and she sat. I’ve done potty training with my kids at school before, so I have a pretty good plan in mind. I wanted her to sit for 5 minutes. We had plenty of books for the long wait. Eventually she would HAVE to go pee pee. Three minutes into it, I called for Ian to bring me some warm water. I asked her to put her hand in it, and within 30 seconds, she was going pee pee!!! She was so excited, and I was, too! That has been the beginning of going potty all afternoon to get ice cream treats. So far, she has only tried 3 times and has been successful all three. The first 2 were pee pee and this last time (about 20 minutes ago) was poo poo!!! We took a TON of pictures and video. Not all of them are appropriate for me to share. This is one that I thought was pretty safe. Ian is not dealing well with disinfecting her little potty, and I myself almost threw up after cleaning it up after the poo poo. I think we are moving to the real toilet tomorrow. 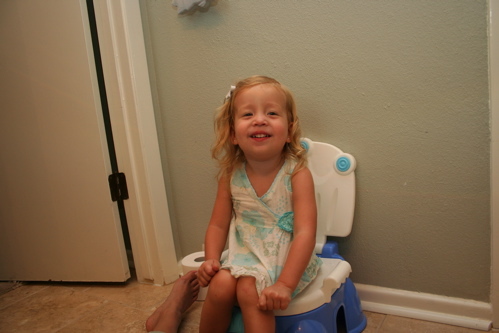 Author denissewarshakPosted on June 13, 2008 Categories the mom1 Comment on training day… potty, that is. 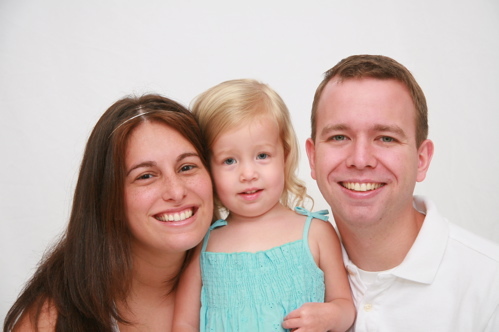 Author denissewarshakPosted on June 12, 2008 Categories the mom2 Comments on emma- june 6, 08.